The evolution of punk has taken a turbulent course over the past forty years; like it or not, the genre, by and large, isn’t the same embodiment of anti-authority, teenage rebellion as it was in the ’70s. Modern permutations still fall in a very working class, blue-collar mould, but far more diarized in fashion, taking cues from rock ‘n’ roll for something a lot more melodic and emotional. As a result, bands like Hot Water Music and The Menzingers have experienced an explosion in popularity, largely thanks to being amongst the best the genre has to offer. That’s no easy task either, as with such an unwavering formula, it’s really a case of who can write the biggest and best songs that determines who succeeds. Granted, it does make it easier to sniff out any pretenders, and Aberdeen’s Cold Years unfortunately find themselves in this category. To clarify, as a sophomore EP, Death Chasers isn’t terrible at all. The band clearly have a firm grasp on their own sound given the likes of the mid-paced, melodic bounce of the title track. What’s more, frontman Ross Gordon is a real presence behind the microphone, somewhat resembling Snow Patrol’s Gary Lightbody on a thirty-a-day habit in his weathered, gravelly rasp. It certainly produces the rough-hewn sound that this style of punk undoubtedly benefits from, and meshing with the anthemic elements of Scottish rock make for five perfectly pleasant tracks on this EP. But that’s really the problem – when has anyone ever lost it over something that’s pleasant? Death Chasers‘ main problem isn’t its songwriting; it’s that, as a band, Cold Years feel so faceless and lacking in distinct identity compared to other bands of their ilk that the sound feels somewhat diluted, and even a bit formulaic. But surprisingly, it sometimes feels as though Gordon is the one who struggles most. As a vocalist, he seems to coast on power alone but has a disappointingly narrow range, meaning that on tracks like Lines, he struggles to reach any sort of epic payoff to compliment wider instrumental passages. As a result, Cold Years feel boxed in by a sound that gives them very little room to breathe. And as a sound that has been done many, many times before, it doesn’t have the same sort of impact or emotional resonance that it should. Again, Death Chasers is not an awful EP, and Cold Years definitely have potential to be unearthed. It’s just a shame that most of that potential seems to have already been realised by everyone else. 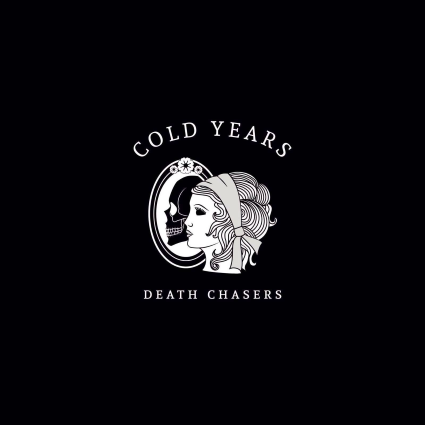 ‘Death Chasers’ by Cold Years is released on 13th August on Fat Hippy Records.